John Engel, of Buick, V-8 engine. 82-43: Show crowd shot. 44-21: Overall. 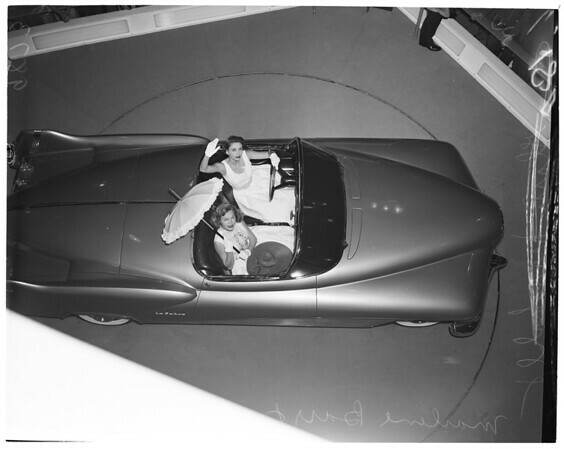 13-14: Rosalie Calvert & the Chevrolet's 'Corvette'. 17-18: Joanne Aele & Cadillac's 'Le Man's'. (Both so-called 'dream cars' of the future)."